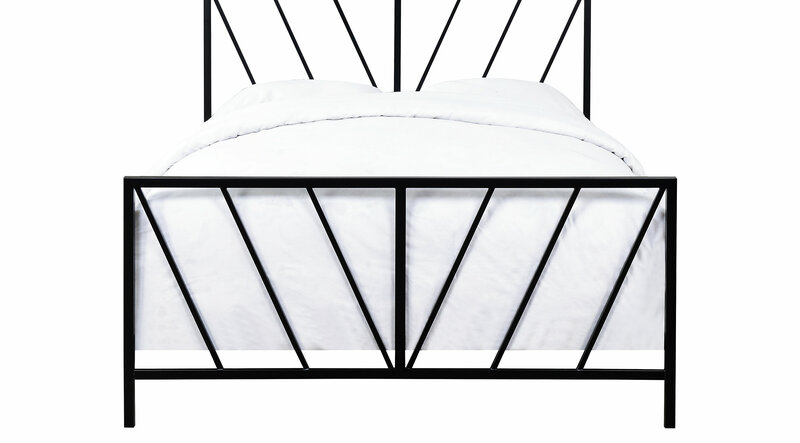 Bold and beautiful, the Storm black queen bed wears a rich high-gloss black finish over its sturdy steel construction that pops against any backdrop. A chevron pattern adds an intriguing motif to its minimalist headboard and footboard styling. This bed has enough interest to shine in the master, yet its simplicity allows it to become the supporting role if ever necessary. Its innovative design accommodates one box shipping for easy handling. A box spring is required.